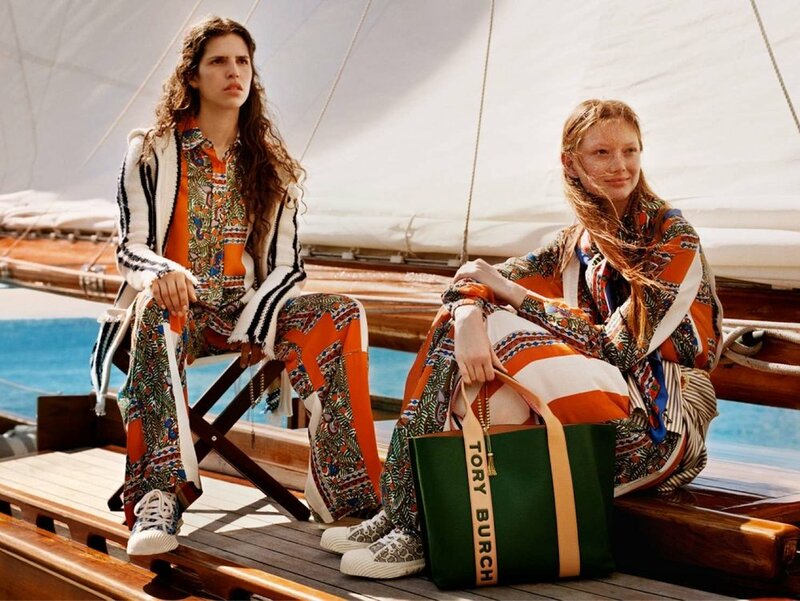 our favorite new Tory Burch — Pencil & Paper Co.
Tory Burch just launched their new 2019 spring/summer clothing collection, “Destination Anywhere” and we’re smitten with the bold bursts of color, graphic patterns, and ode to all things classic. The new pieces have us ready to book a flight, pack our bags, and soak up the sunshine in one of our favorite getaway spots. The swimwear line is perfection and we’re adding this striped swimsuit and this color blocked one piece to the tippy top of our spring break wishlist. You know our affinity for orange can’t be tamed, which is why we’re crushing hard on these chic cap-toe flats, this vibrant printed dress, and these classic leather pumps. Want to see what’s currently in our cart? This bohemian lace tiered dress and these pearl sandals. Spring Break, we are ready for you! Check out more of the new pieces here!